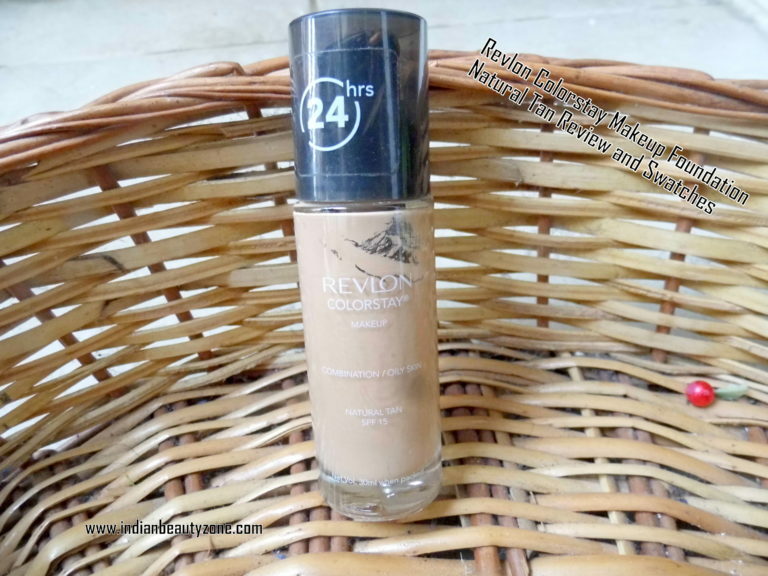 Revlon Colorstay Makeup Foundation wears for 24 hours and it gives flawless look and light weight feel. Key Ingredients: Cydopentasiloxane, water, dimethicone, trimethylsilicate, Titanium dioxide, iron oxides. This foundation comes in a sleek cylinder shaped glass bottle with a black lid, inside they have provided a pump dispenser which makes easy to take out the foundation liquid with out wasting. Though it comes in a glass bottle you can carry it with you but with extra handling care. I have strange skin tone which is medium and some times dusky and always pinkish blush at cheeks especially near the nose. This kind of skin tone makes me stay away from most of the foundations which makes me looks whitish ghost and uneven patches. 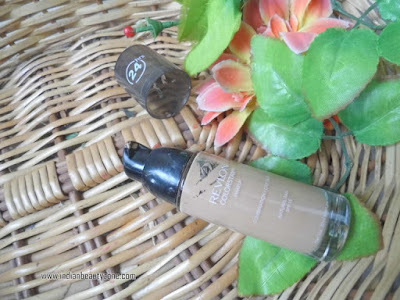 So I am very skeptical about choosing one shade for me, I have chosen this Natural Tan shade which looks ok for my skin tone. But again the same story, it looks patchy on my cheeks and didn't looks nice at all (waste of money again). But this shade is good for all Indian common skin tones and works well with medium to fair skin tones. It has semi solid texture and little fluffy when I takes out from the pump. 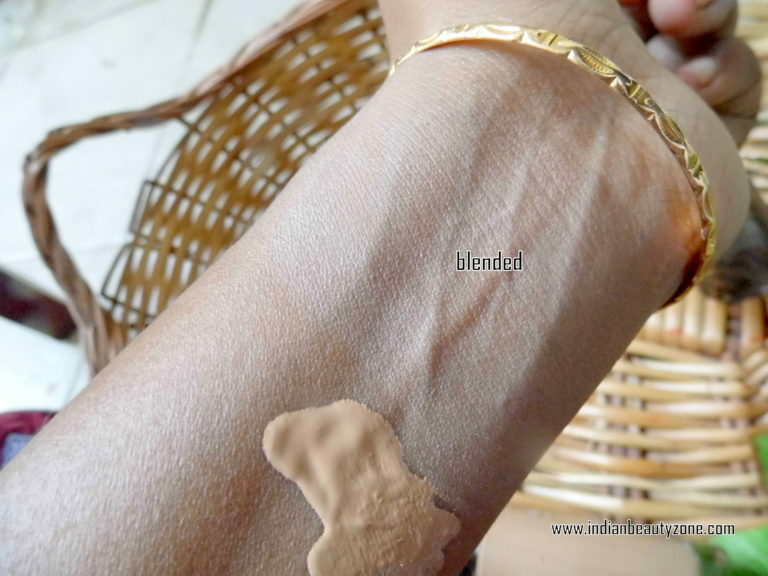 I found it is easy to blend and gives even look. 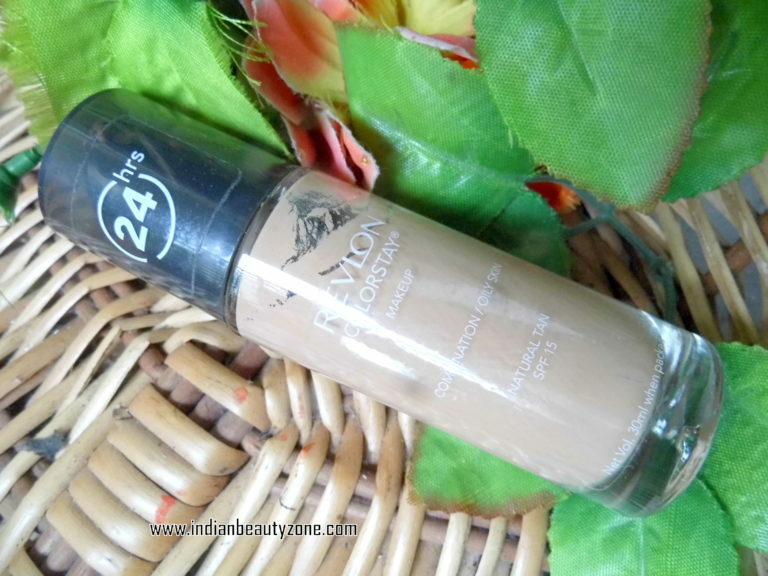 This foundation's 24 hour claim is somewhat true, I have very bad oily skin and this foundation works well for me and stays good with minimal shiny at T zone until I remove it. The only problem is this shade didn't match with my cheeks tone. It gives powder finish and bright look immediately after blending on your face. 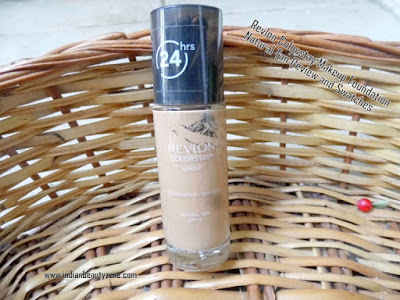 But if you applied a bit extra foundation... that's it you are ready to go for Halloween night... yes it gives that whitish ghostly look easily when you apply it a bit extra. You have to play that tricky part of blending with this foundation, otherwise patchy look is confirmed. It stays fresh really long time. It covers and conceals your imperfections perfectly. A little foundation is enough to apply. It is best party and bridal wear foundation. It gives nice matte look. The blending part is somewhat you have to be tricky. Sometimes gives patchy uneven look. Whitish look is confirm if you are not mastered at blending. 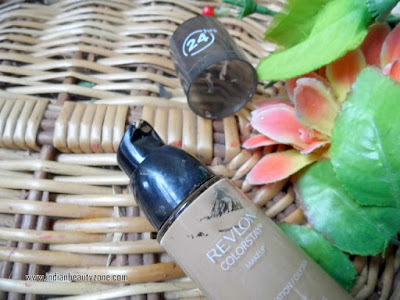 Revlon Colorstay Makeup Foundation is a good choice for oily skin beauties and only thing you have to be careful with blending and choosing the right shade.